Europe’s fast growing mobile brand, Wiko is launching a new smartphone. Wiko Ridge 4G launches in Nigeria today and will be available in retail stores in the country. Ridge 4G comes in a super-light and slim elegant design with superfast 4G LTE built-in for seamless streaming and superfast download. The Ridge 4G offers a full-laminated 5-inch IPS screen protected with Corning Gorilla Glass 3. The display looks brilliant with 720 x 1280 pixels resolution. With its Sony lens and Philips flash, the 13-megapixel main camera guarantees great shots, whatever the conditions. What about selfies? The 5-megapixel front camera is your perfect ally. Wiko Ridge 4G sports the efficient 64-bit Qualcomm Snapdragon 410 quad-core processor clocked at up to 1.2GHz. Add the generous 2GB RAM and a smooth experience will be a given. Wiko Ridge 4G is loaded with Android 4.4.4 with a simple brand UI on top. The smartphone is available in is also available in Black and Grey, Black and Bleen, Black and Clementine, as well as Arctic Gold. “Wiko has again demonstrated its commitment to consistently offer varieties, freedom and quality to everyone in Nigeria”. 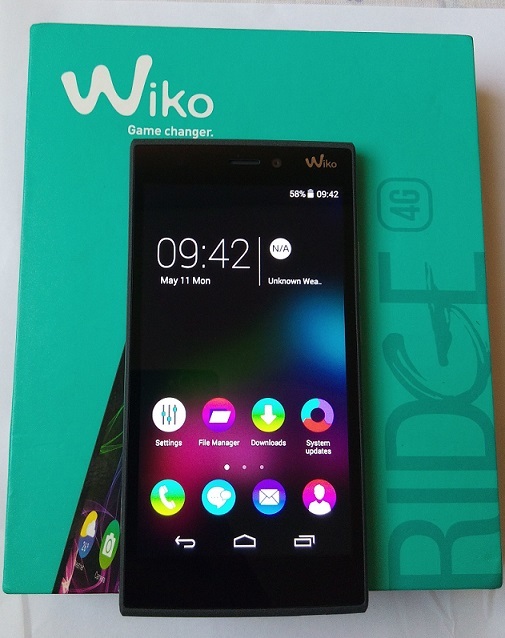 Ridge 4G is coming about two months after Wiko unveiled the Wiko Getaway, another sleek smartphone in the Nigerian market. Ridge 4G will be available in retail stores in Nigeria starting today and will be going at a price of 45,000 Naira. The Wiko brand launched in Nigeria in October last year with its array of phones which includes Wiko Highway, its flagship, Highway Signs, Rainbow, Bloom, Lenny, Sunset, Fizz and Goa, along with feature phones, Kar-3, Riff and Lubi-3. All the Wiko phones, which are approved by the Nigerian Communications Commission (NCC), come with the tagline, “Game Changer,” a message that appeals to the free-spirited, passionate, adventurous and independent nature of today’s youth.